Express click and collect: worth the cash? Until John Lewis began charging for click and collect orders under £30, consumers never considered that fulfilling collection orders costs money. Since 2014 the number of retailers charging for click and collect has increased from 0 to 17. 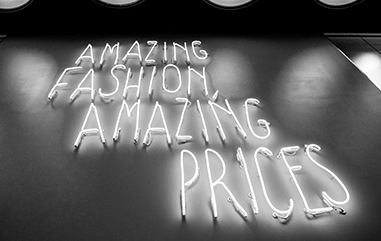 That now amounts to nearly a sixth of UK multichannel retailers. However, it’s become apparent that click and collect isn’t always quick with 67% of UK multichannel retailers offering click and collect taking more than a day to fulfil. Enter express click and collect. 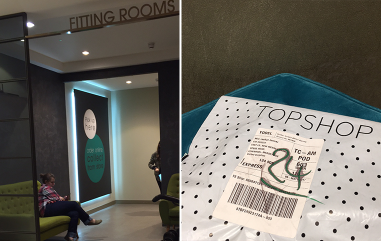 During research for Ampersand’s 2017 Multichannel Retail Report, five brands stood out as offering an express collection option, and I decided to give the services a go. One brand pleasantly surprised me. One failed. Click on each brand to jump to the section, or just read in full. Click on each brand to jump to the section, or just read in full below: Ryman, Topshop, River Island, Pets at Home, New Look. Notes: The website was very slow and I didn’t have much hope that this was going to go well for Ryman. However, I received an email just 2 hours after I placed the order letting me know that it was ready for collection. Within that email was a link to use Shutl to pick up my parcel and courier it to me. I thought, ‘Cool!’ But clicking the link made me realise that the service was not available in my area… a little bit of disappointment that probably could have been avoided by the retailer. Worth it for the speed of fulfilment alone. 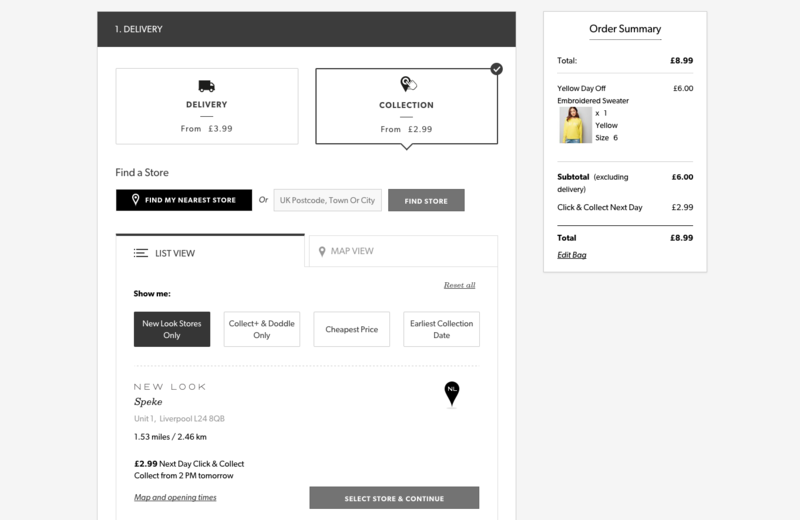 Notes: Topshop’s website is easy to use. The forms felt easy to fill in checkout. 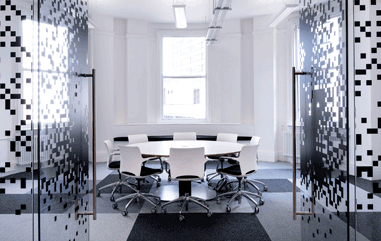 The transparency was refreshing – giving an exact time to expect the order. Asking for a mobile number and saying it’s for text updates a nice touch too. However, the item arrived nearly two hours later than originally promised and there were no updates about this delay. If I had been expecting to pick this item up on my lunch break, it would not have been possible. That, coupled with the lack of communication about the late item arrival makes this service not up to par. 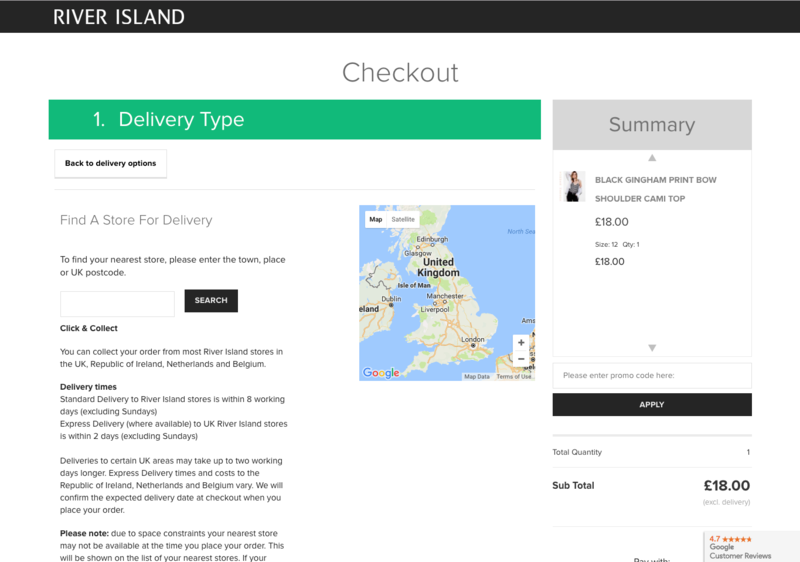 Notes: The River Island website felt very messy for a few reasons. 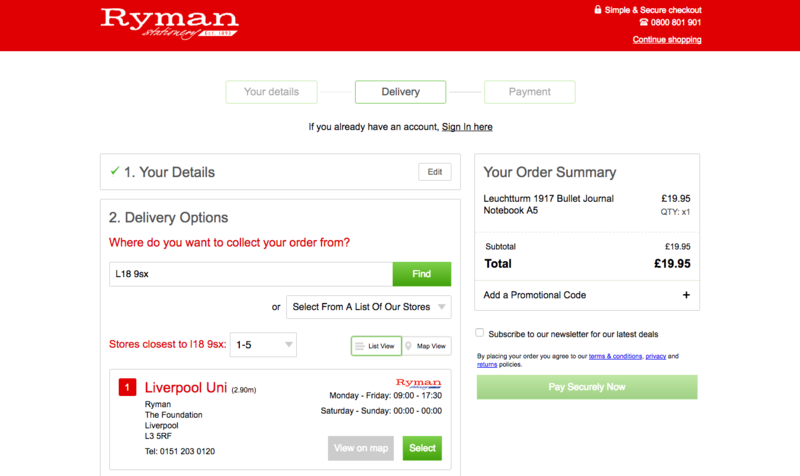 Firstly, many buttons within checkout simply looked out of alignment. 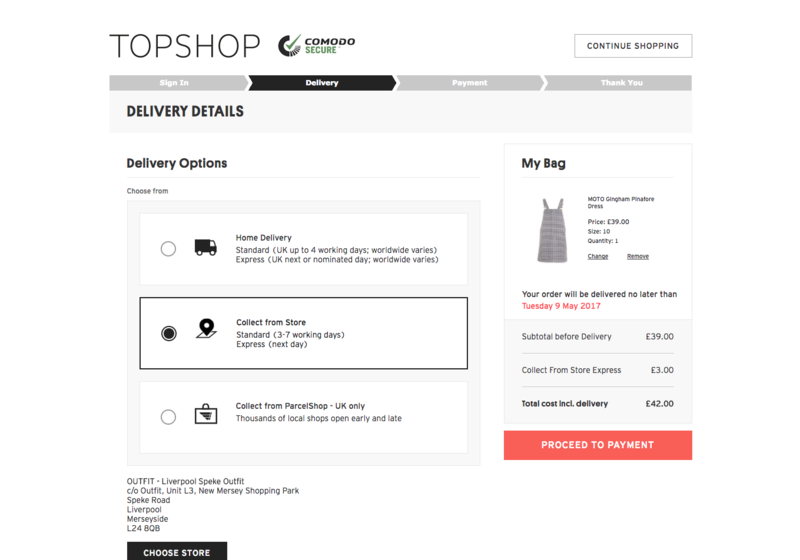 Secondly, in the basket a message was displayed saying, ‘spend £82 more and get free delivery’. To me, that seems a bit unlikely and may do more harm than upsell. 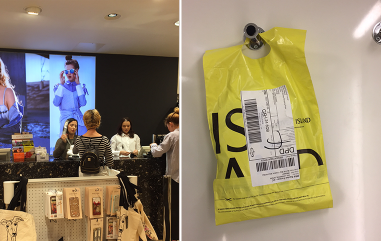 To top it off, River Island was the only retailer within this test where express click and collect was not promised ‘next day’ but said instead, my order would take 2 days. However, my order arrived a day early. In-store the signage for click and collect was non-existent and I had to be verbally directed to the men’s department till upstairs. Even though the item arrived a day early, the originally promised ‘2-day’ delivery is still not ‘express’ enough for £5.99. 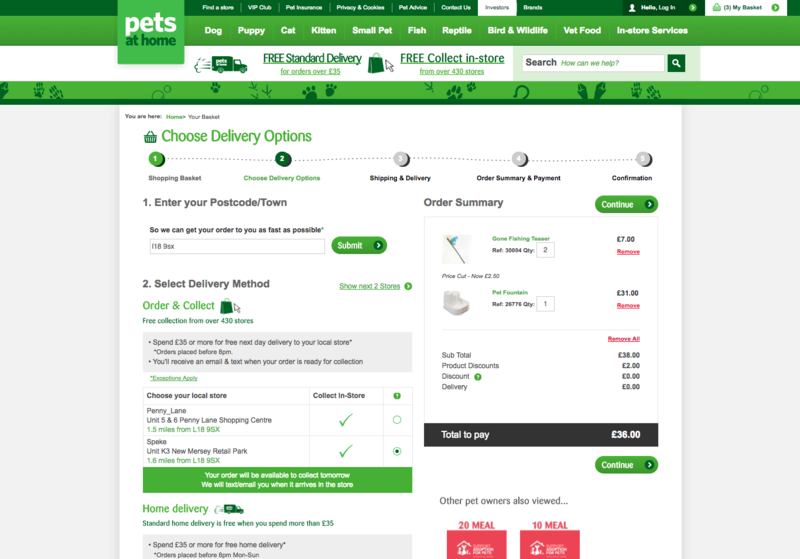 Notes: Whilst Pets at Home does not charge for express click and collect, it requires a minimum spend of £35 to qualify. Using the website was fine, not great or bad. Communications were good from the retailer and the package was simple to pick up. Being that the service is actually free, of course, it’s worth it. But it is also worth noting that nothing went awry and I would make sure to buy items over £35 to use the service again. Notes: New Looks website is a joy to use. It is easy to browse. The forms are easy to fill. Although it didn’t give me an exact time that my items would be available for collection, it fulfilled the order in the morning, so I would have been able to plan when to pick up easily. The collection point was well marked and the staff were efficient. 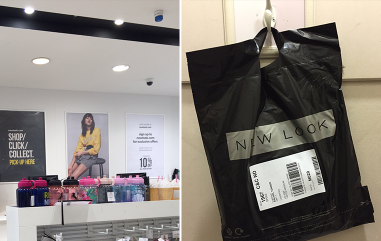 I would give New Look’s express click and collect service a ‘best value’ badge. How much would you be willing to pay for Click & Collect, if your item was guaranteed to be ready for pick up by the Next Day? Turns out, the results were inconclusive because it really matters to people exactly what time the item will be ready the next day, and a couple of people I chatted with couldn’t put a value on the worth without that information. 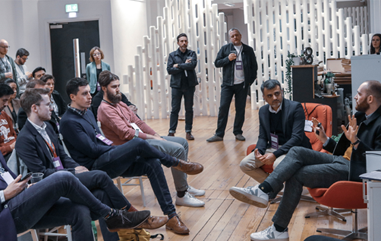 At a retailer, it’s difficult to cater for everyone, but by giving as much information as you can, you are allowing your customers to make informed decisions about their purchasing. Isn’t that what multichannel retailing is all about?